As students of world history we find the Middle Ages fascinating. Many classify the period to have begun in the 5TH century with the collapse of the Western Roman Empire and lasted to the 15TH Century and the beginning of the Renaissance. The basis of constitutional government can be traced to the medieval period with the signing of the Magna Carta, or the Great Charter, in 1215. One of the more enduring images of the middle ages would be a fortified castle and drawbridge allowing safe passage over an adjoining moat. We are biased towards companies whose market position can be described as fortified in much the same way knights and lords protected their lands and subjects over a thousand years ago. Warren Buffet once said “In business, I look for economic castles protected by unbreachable moats.” While our clients’ investment time horizons may be different than that of Mr. Buffet’s therefore making our security selection process different we think he was really on to something with that comment. The corporate world is a battlefield with an endless array of invaders trying to breach moats in a quest for market share. Buffett explains “A truly great business must have an enduring moat that protects excellent returns and invested capital. The dynamics of capitalism guarantee that competitors will repeatedly assault any business castle that is earning high returns.” Strong fortifications are the best defense against an attacking competitor. So what are some of these structural characteristics called competitive advantageous Buffet speaks of? Economies of scale and efficient operations can help a company keep competition out by being the low cost provider. Being the low cost provider can be a significant barrier to entry. In addition, low pricing done consistently can build brand loyalty into a huge competitive advantage. A company that has the ability to increase prices without losing market share is said to have pricing power. Companies that have pricing power are usually taking advantage of high barriers to entry or have earned the dominant position in their market. It takes a large investment in time and money to build a brand. It takes very little to destroy it. A good brand is invaluable because it causes customers to prefer the brand over competitors. Being the market leader and having a great corporate reputation can be part of a powerful brand and a competitive advantage. Patents, trademarks, copyrights, domain names, and long term contracts would be examples of strategic assets that provide sustainable competitive advantages. Companies with excellent research and development might have valuable strategic assets. A unique product or service builds customer loyalty and is less likely to lose market share to a competitor than an advantage based on cost. The quality, number of models, flexibility in ordering (i.e. custom orders), and customer service are all aspects that can positively differentiate a product or service. There is always the intangible of outstanding management. This is hard to quantify, but there are winners and losers. Winners seem to make the right decisions at the right time. Winners somehow motivate and get the most out of their employees, particularly when facing challenges. Management that has been successful for a number of years is a competitive advantage. In an effort to demonstrate our thinking let us consider two of our core equity holdings. First, Google has one of the widest moats in the technology sector. “Googling” has become synonymous with Internet searching. Google also excels at tapping into adjoining markets. Their Android mobile operating system competes directly, and favorably, with another castle-and-moat household name in the sector. The market anxiously awaits to see what Google is going to do next. Driver-less cars? What was once science fiction Google is turning into reality. Wal-Mart has perhaps the scariest moat in the S&P 500. Fortunate is the CEO who doesn’t have to consider her firm’s product offering in the context of how it is affected by Wal-Mart. As a business they are incredibly efficient in supply chain management. All of their product data can be tracked from the manufacturer to the warehouse to the store shelf. The largest retailer in world’s business strategy operates on the four cornerstones of their castle: buy for less, sell for less, operate for less, and grow sales. Not a bad way to defend its turf. No individual security selection should be based entirely on the width of a company’s moat or the height of its ramparts. However, as a part of the analysis of our long-term core holdings we feel it is important to understand how vulnerable companies are to siege. At Monarch we strive to protect our client’s investment portfolios by adopting a defensive posture when approaching capital markets. We have a significant bias towards high quality, large cap, and blue-chip domestic equities that are built to last. 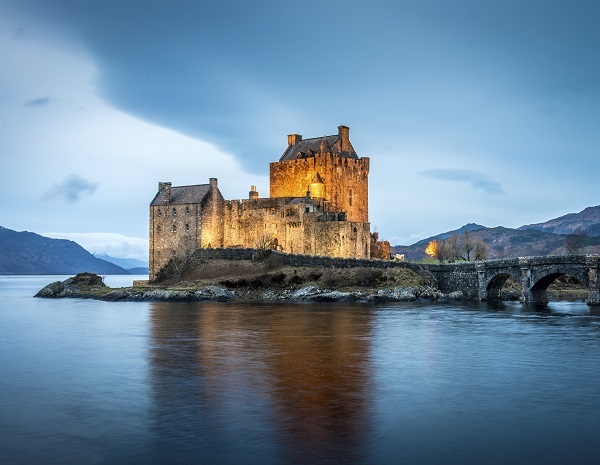 In our ongoing research we continually look to identify companies with wide moats that have the competitive advantages and consistently provide strong returns. We believe that prudent stewardship of our clients’ investments leads to better outcomes. MONARCH ASSET MANAGEMENT IS A REGISTERED INVESTMENT ADVISER. INFORMATION PRESENTED IS FOR EDUCATIONAL PURPOSES ONLY AND DOES NOT INTEND TO MAKE AN OFFER OR SOLICITATION FOR THE SALE OR PURCHASE OF ANY SPECIFIC SECURITIES, INVESTMENTS, OR INVESTMENT STRATEGIES. INVESTMENTS INVOLVE RISK AND UNLESS OTHERWISE STATED, ARE NOT GUARANTEED.